Before exploring which applications work best with Stratasys FDM technology (Fused Deposition Modeling), it's important to understand how FDM works. FDM is an additive manufacturing technology that heats thermoplastic filament through a liquifier to build parts layer-upon-layer. Because FDM technology uses engineering-grade plastics that are durable and accurate, it is commonly used in a range of industries and applications. Some of the most ideal applications are concept models, manufacturing tools and functional prototypes. 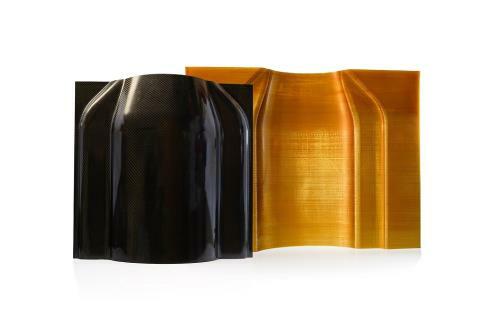 Composite Tooling is a popular 3D printing application with FDM Technology because of the benefits it reaps compared to traditional composite mold tooling. Some of these applications include trapped tooling, multi-piece collapsible mandrels, sacrificial cores and clam shell molds. There are many different benefits and limitations presented by each method. Depending on the case at hand, composite tooling may offer benefits like time and cost savings, tailored tools to applications and reduced lead times, whereas metal tooling may offer drawbacks like high cost and long lead time, high levels of touch labor, costly design changes and difficulty moving and storing parts. When choosing which application is the best for your project, it's important to look at all of the components involved. Factors like machine compatibility, materials and design can all impact successful tooling. For a more in-depth explanation of composite tooling and real-life case study examples demonstrating how composite tooling works for different companies, watch the full on-demand webinar below.